Pear contain a good amount of anti-oxidants like vitamin C and copper that helps in boosting the immune system and make it more stronger. A person with strong immune system is less vulnerable to attack by various infectious diseases. 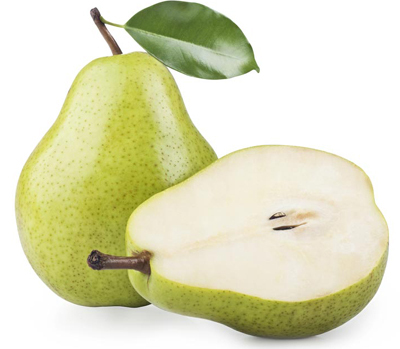 Pears are high in fibre, and the pectin in pears acts as a mild laxative. Regular consumption of pears keeps the digestive system working well and helps speed waste matter through the colon. The fibre found in fruit is thought to be more beneficial in preventing cancers of the digestive system. A pear a day can prevent breast cancer by upto 34% in women after menopause. Regular eating of this fruit may offer protection against colon cancer. Most of the fiber in them is non soluble polysaccharide (NSP), which functions as a good bulk laxative in the gut. Additionally, the gritty fiber content binds to cancer-causing toxins and chemicals in the colon, protecting its mucous membrane from contact with these compounds and help to protect against colon cancer. Pears are an excellent source of dietary fiber, , which reduces the cholesterol in the body and thereby protects us from many heart diseases. Daily intake of fiber rich food like pears can reduce the risk of stroke by up to 50%. Pears are higher in pectin than apples. Pectin is a type of soluble fiber that binds to fatty substances in the digestive tract and promotes their elimination. This seems to help lower blood cholesterol levels. Good level of pectin makes them effective in helping to lower cholesterol levels and in toning the intestines. Folic acid is very important for a pregnant woman to keep the baby safe from birth defects. Folic acid present in pears can help you in this issue and it is recommended to use it regularly during the pregnancy. The boron rich pears can help to absorb the calcium consumed easily and prevent Osteoporosis. Pears also contain a good amount of Vitamin K which is important for bone health and vital to your blood's ability to clot, or coagulate. The high glucose content in pears gets absorbed very quickly by the body and converts into energy. So whenever you feel weak and hungry you can get instant energy just by consuming one pear. The pectin in pears is diuretic and have a mild laxative effect. Consuming pears or drinking pear juice regularly helps regulate bowel movements and prevent constipation. 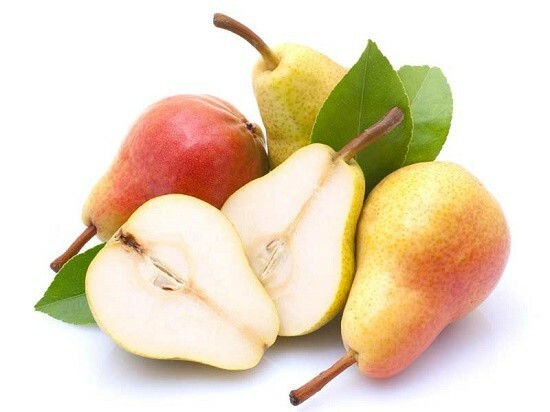 Pears are also a good source of dietary fiber which makes them an excellent fruit to prevent constipation. Pears are also considered very effective in getting relief from fever. The natural cooling effect in pear is very beneficial in relieving fever. Drinking a glass full of pear juice is the best way to bring a fever down quickly. The natural enzymes present in the fruit make it a great scrubbing agent. You can easily get rid of the dead skin cells present in the superficial layer of your skin and can get a healthy glowing skin simply by applying mashed pear on your skin and exfoliate your skin with it. The fruit is rich in Vitamin C, Vitamin K and Copper. All these elements are capable of combating harmful free radicals thereby protecting our skin cells from severe damages and prevent from premature wrinkles and fine lines.